Come and spend 2 hours with Western 3 Gun World Champion and 5 Time World Derringer Champion Garrett “Waterloo” Martin and 2 Time Overall Cowboy Action World Champion and the youngest to ever win the title Dylan “Matt Black” Holsey. They will show you how to slap leather and sling lead like a modern day gunfighter, shooting specialized high end lever actions, single action revolvers, double barrel derringers, and double barreled shotguns. 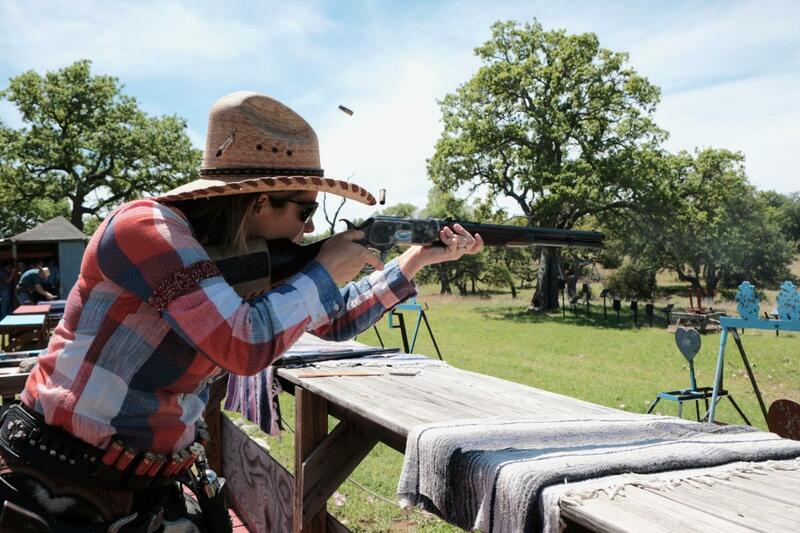 You will get to shoot reactive targets in a Western style Shooting Experience that is both fun and exciting. Go head to head against your friends to see who is the Top Gunfighter. You will experience one-on-one careful and professional instruction in the use of all firearms in a safe and controlled environment. Call us at 817-573-4445 to reserve your time and spot. Very limited spots available! We have slots available at a few different times each day for a minimum of 4 people to a max of 10 people per time slot. It will be first come first serve on availability of those slots and times. The cost is $75 per adult (ages 14 and up) and $37.50 per child (ages 8-13). Upon getting to the Gunfighter Experience, please arrive 15 minutes early so that all participants can sign a waiver release form as well as all adults will need to take a breathalyzer test. There will be no alcohol allowed at the Gunfighter Experience, and failing to pass the breathalyzer test, you will be asked to leave and not be refunded. For more info, any questions or to reserve your spot, please call us at 817-573-4445.